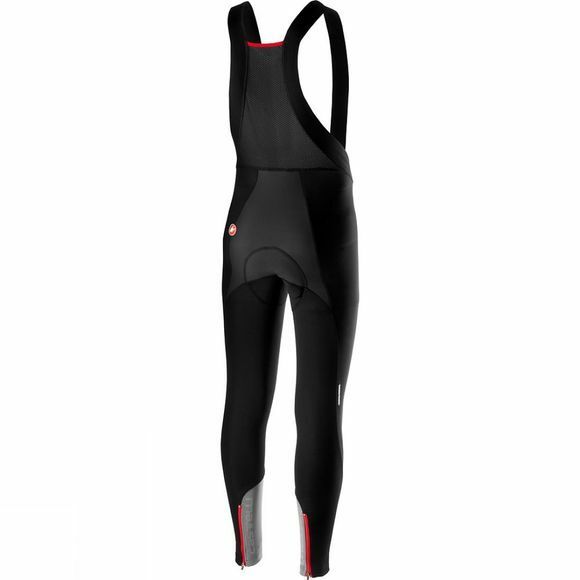 The Nano Flex Pro 2 Bibtight is Castelli's introduction to Nano Flex Xtra Dry fabric. Eight years ago Castelli pioneered nanotechnology coatings in cycling clothing to provide a higher level of water protection without sacrificing breathability or stretch. they are ready with the first major update. The base fabric is a tighter-knit double-layer construction, and the water repellency treatment is improved to offer even more protection. 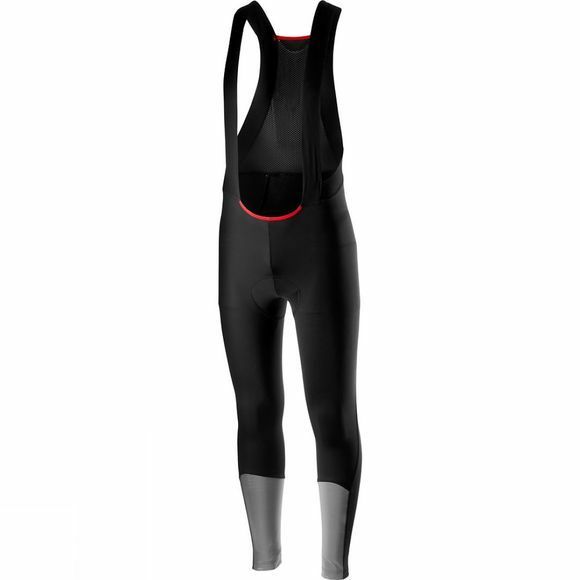 This will also be your go-to tight for dry conditions. It's a no-compromise piece for all your cool-weather riding. It's not just about the fabric, though. This is a serious training tight, so it gets Castelli's Progetto X2 Air seat pad. For total protection in the high-splash area of the inner leg, there is a fully reflective waterproof fabric that adds a high degree of nighttime safety to this tight. The tight is constructed with the bare minimum of seaming, which helps keep the rain out and also makes it more comfortable.